1 Tablespoon of Mustard or to taste. I like spicy mustard. So this is my take on an egg salad sandwich. 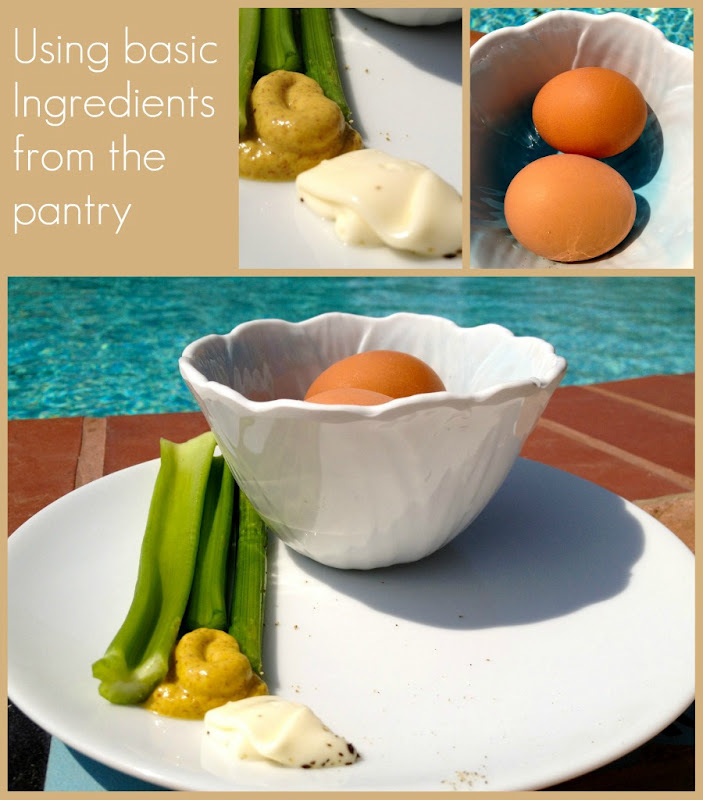 If you want to check out the original recipe that inspired me click here. I didn't stray too much from it really. Oh, and a little update, the hubster did not come home for lunch today, so I enjoyed this sandwich all by myself and it was pretty good if I do say so myself! What are some of your meat free lunch ideas? we love egg salad sandwiches. your method is slightly different than mine; i like the idea of mashing it all together with a fork, but alas J likes his eggs cut with precision. as for being a stay-at-home canine mama - i'm sure the boys adore their time with you while you're operating sealaura industries from your casita. OK I am so needing that for lunch today after seeing your post! YUM!!! 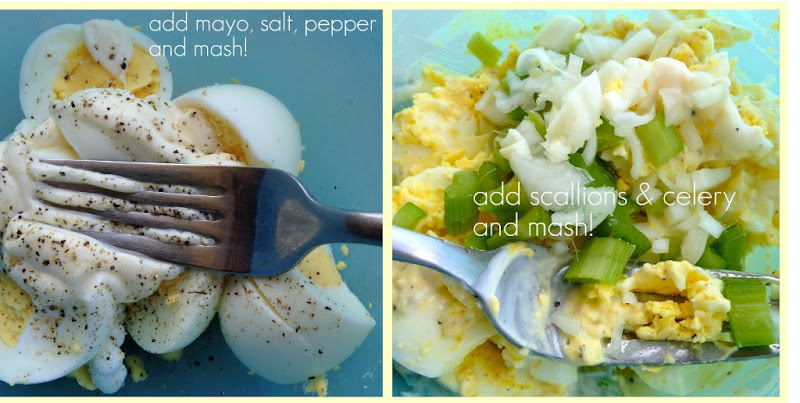 Egg salad is my favourite meatless lunch! You have made it look so yummy here! I will have to try the mustard (I love honey mustard) and yes, the gren onions give it a zip! Lovely photos and yummy post! PS I think you'll like the giveaway I'm having, it's very "sealaura"!